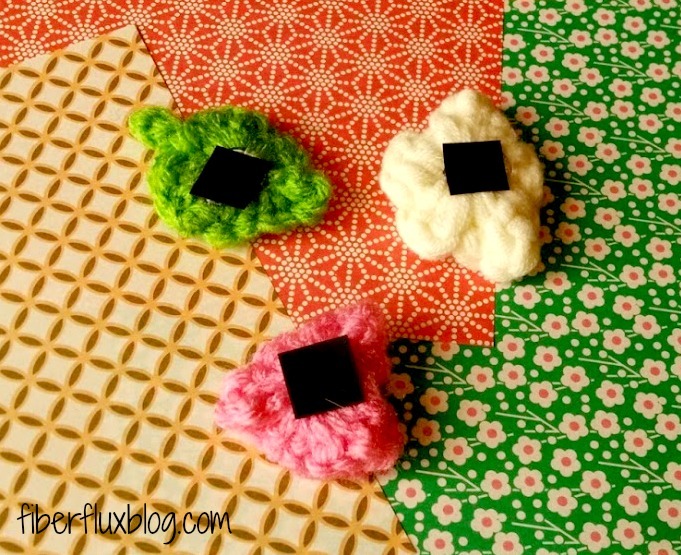 Here's an easy project if you'd like to bring some yarny goodness to the office or the refrigerator...crochet applique magnets! Easy as pie and fun to make too. 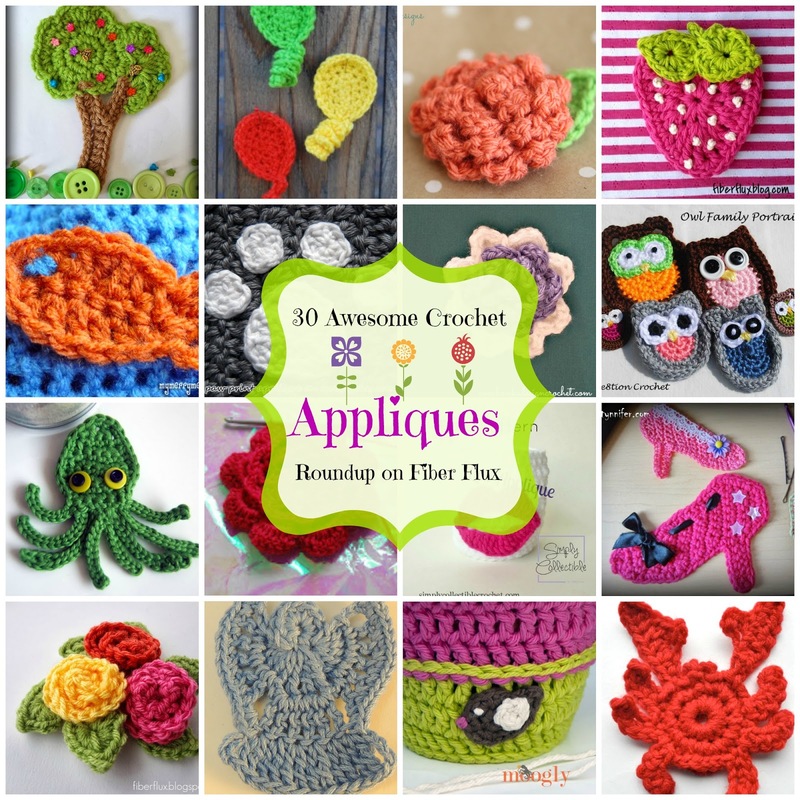 Here are 30 more amazing appliques...something for everyone! 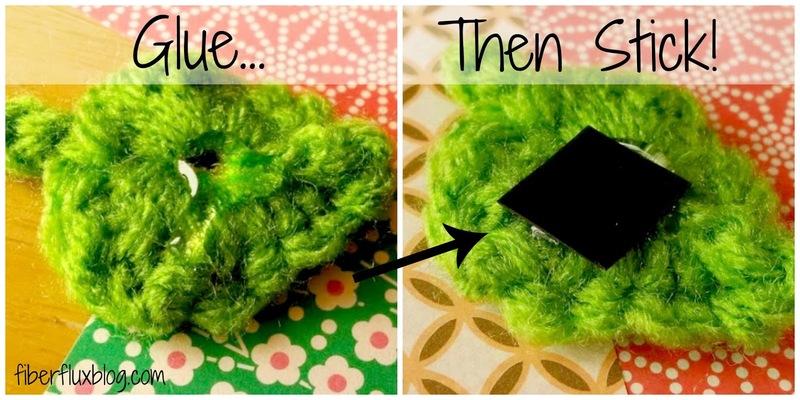 To make your own yarny magnets, first snip off pieces of magnet that will fit the backs of your appliques. Be sure to cut it large enough so that there is enough magnet there for it to stick, but not so large that there is overhang. The magnets are sold by the sheet (as shown) or by the roll. 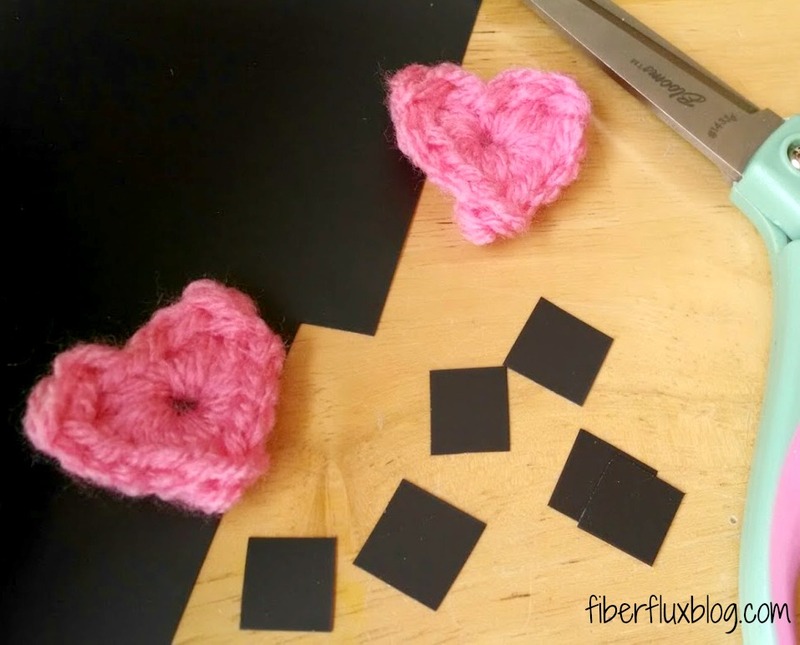 I cut mine in small squares. Also, peel off the paper backing too...this is the side you will apply the hot glue. Next, apply the hot glue...be careful not to squirt too much on there so it does not seep through. Then just stick the magnet backing on...all finished! 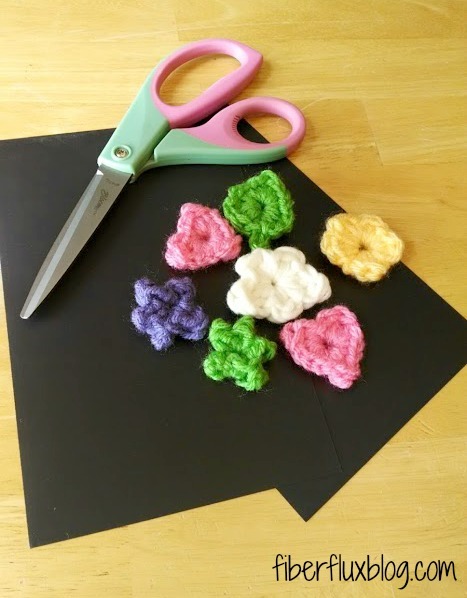 Repeat for all of the appliques and be sure to let completely dry before using. This is a great little gift for someone who may be getting a new job with a new office, or a new home and would like to pretty up their refrigerator.